SAM is an "App-Store" application for your Android device that eases the discovery and download of applications directly to your device available from SlideME. Download the SlideME Market App "SAM" (SlideME Application Manager) to your device by entering http://slideme.org/sam.apk from your device's browser. 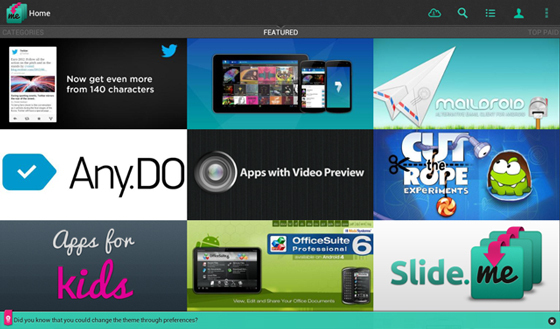 The still expanding SlideME catalog within SAM contains both free & paid applications. 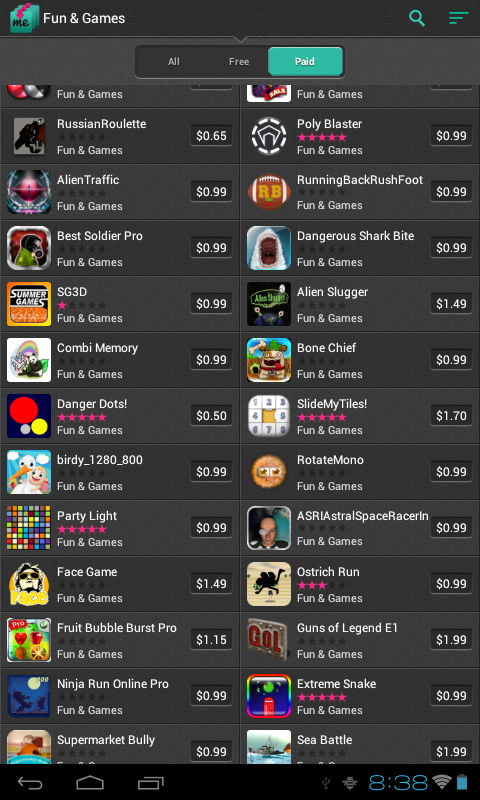 Free applications are also available from our web & mobile storefronts. 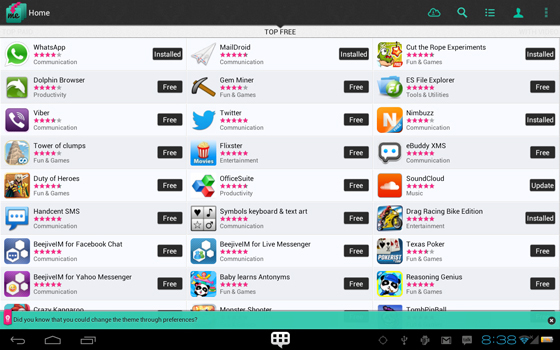 You will find it easier though to use SAM from your Android device to discover both 'free' and 'paid' applications. SAM supports SlideME's Storage Locker. This allows you to re-download or upgrade Android applications you have previously purchased in case you lost or reset device. To install SAM, you can either scan the 2D barcode with your camera scanning application as it appears on http://slideme.org/application/slideme-marketplace or directly enter in your device's browser URL: http://SlideME.org/sam.apk to download SAM to your mobile device. Make sure your tap on downloaded file to install SAM and assure you have Unknown Sources enabled from your device's settings. 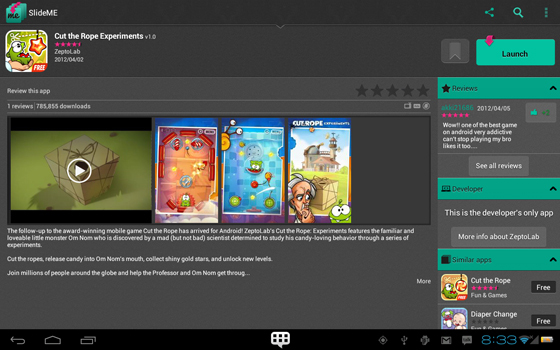 SlideME has developed the first Android App-Store, both a web storefront 'SlideME.org', a mobile storefont 'm.SlideME.org' and SAM as an 'on-device' App-Store client. SAM can be branded and customized for such requirements. SAM is available as is for potential partners to include on their devices. MNO's interested in carrier billing integration should contact our partners team. Kindly visit our partners section for further information. 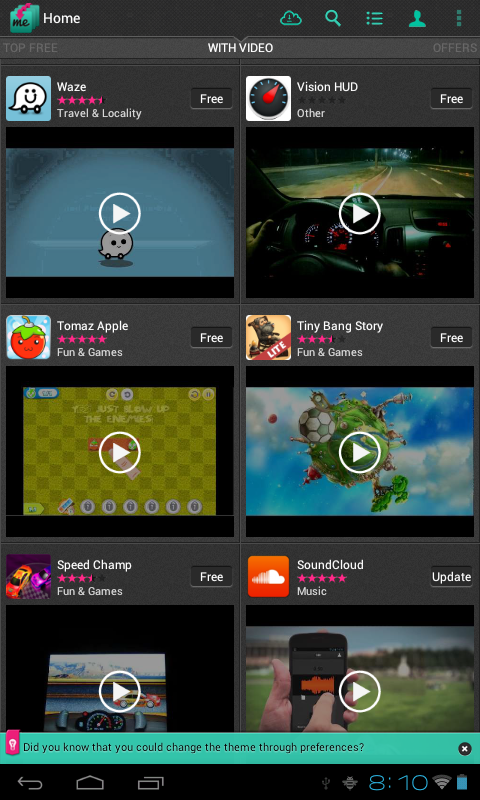 Above, app lists with video previews. 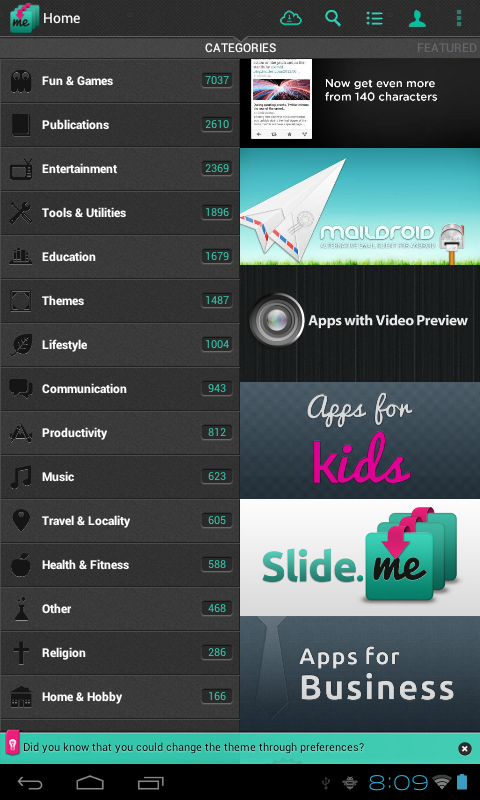 App lists from within a category with slider to choose between Free, Paid & All apps. List of apps in light theme mode.